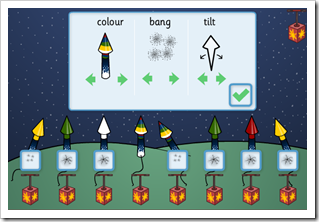 Unit 1: Years 1 and 2: Pupils work across a range of numeracy strands within the Firework theme. 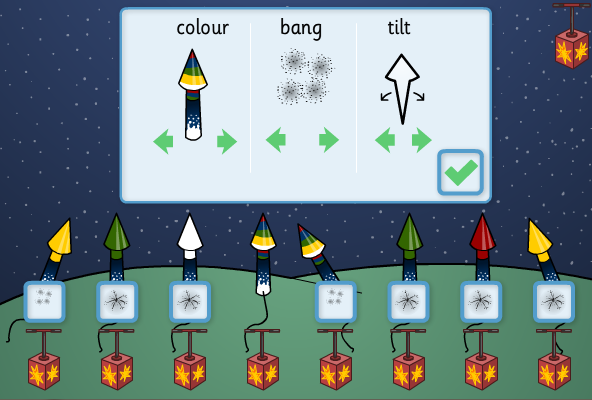 They can design a sequence of colourful fireworks, make Catherine Wheels with different shapes, tell Number Stories and count fireworks as they shoot into the sky! Unit 2: Years 3 and 4: Themed multi-strand maths lessons cover shape and space, number and data handling. Pupils can carry out surveys and build a bar chart, practise mental addition and subtraction, investigate combinations to design a display, problem solve to pack a firework selection box within a budget. Unit 3: Years 5 and 6: A set of mathematical challenges, most with a problem solving element. Pupils learn how to use line graphs to look at the ascent and descent of a firework, spreadsheet modelling to budget for a display and explore rotational symmetry in Catherine Wheels. The pack is available through the TES web site at this direct link. TES Topics brings you complete lesson packs containing interactive resources, lesson plans, work sheets and work cards. Easy to use, time saving and inspiring!